For years, Pokémon fans have been practically begging Nintendo to give us something like a proper Pokémon MMORPG. That request has as of yet gone unheeded. Fortunately, developer Crema saw a niche that desperately needed filling, and went ahead with the creation of Temtem, a "massively multiplayer creature-collection adventure." The game has soared past its original Kickstarter goal and looks like it could be a huge hit. So what is Temtem, exactly? Read on to learn more. In Starfighter Inc., your worth as a pilot is defined by the missions you’re willing to take on. Your assignments may be dangerous — or morally dubious — but at the end of the day, it’s the difficult jobs that reap the best rewards. The only question is whether or not you’ve got the skills to tangle with the very best. Sound like your kind of adventure? You have 50 hours left to become a backer for the game on Kickstarter. Tags Kickstarter Official Wiki Starfighter Inc.
What if humans never reached the top of the food chain? In Pine, survival of the fittest is in full effect, and there are plenty of other species who consider humans to be prey. You'll need to use your wits and your instincts to explore the island of Albamare without falling foul of predators — and staying alive is just the beginning. Gamepedia and the game's developer, Twirlbound, are pleased to announce the Official Pine Wiki. In A Place for the Unwilling, your greatest task will be understanding the peculiar city you're dropped in and the memorable cast of characters living among it. Gamepedia, working in partnership with the talented team at AlPixel, is pleased to announce the Official A Place for the Unwilling Wiki. A mesh of retro gaming and futuristic elements, Voxelnauts is an MMO Sandbox RPG with endless possibilities. From Retro Ronin, the game has already been Greenlit by the Steam community and is now entering its final stretch on Kickstarter. Gamepedia has partnered with the developers to present the Official Voxelnauts Wiki, a thorough resource for learning more about this upcoming title. It wasn’t long ago we introduced you to We Happy Few, an upcoming first-person survival game from Compulsion Games. Now, the development team behind the dreadfully cheery residents of Wellington Wells have made their way to Kickstarter with a goal to raise $200,000. The campaign only launched today, and hundreds of backers are already pledging their money to help support this dystopian experience. To learn more about We Happy Few, visit the Official Wiki on Gamepedia. Pilot ships, fire turrets, control fighter drones, and commandeer enemy vessels in Galaxy Heist, an upcoming title from Space Bear Development. The game’s Kickstarter just launched yesterday, and they’re already off to a fantastic start. You can also vote for the game to be Greenlit on Steam. ArtCraft Entertainment, Inc. has already raised over $550,000 on Kickstarter for their upcoming MMORPG Crowfall. The game combines elements from classic MMOs with those of large-scale strategy games, giving players complete control of the universe around them. Gamepedia is proud to present the Crowfall Wiki, a growing resource for all things related to this upcoming title. Lead your space vessel through dangerous and unpredictable terrain in Orion Trail, an upcoming title from Schell Games. In a humorous mixture of Oregon Trail and Star Trek, you'll play as the captain of the Indestructible II. It's your task to lead your officers, crew, and entire ship through the deepest corners of space. After being Greenlit on Steam, the game’s Kickstarter campaign is now in full swing. The developers hope to raise $90,000 before the campaign ends on March 12. To learn more, visit the Official Orion Trail Wiki on Gamepedia. STRAFE®, one of the most revolutionary shooters of 1996, is halfway through its Kickstarter campaign and has already raised more than $70,000 from over 2,000 backers. Developed by Pixel Titans, the game combines bloody, violent action with intense graphics that push the limits of design and reality. Even the game's website design demonstrates a commitment to being on the forefront of innovation. To learn more about STRAFE®, visit the game’s Official Wiki on Gamepedia. Into the Stars, a stunning open-world journey through a distant solar system, has only one day left in its Kickstarter campaign, and nearly 4,000 backers have already pushed the game well past its $85,000 goal. Developed by Fugitive Games, Into the Stars allows you to captain your very own ship and guide an inexperienced crew through the dangerous depths of space. The game has been Greenlit by the Steam Community and is expected to release this summer. We’ve partnered with the developers to bring you the Official Into the Stars Wiki, a bountiful resource for game information and updates. Nearly a month ago, we shared with you the Shards Online Kickstarter campaign and the phenomenal success it experienced its first day. Now, the campaign is in its final hours and officially ends tomorrow night at 8:00 PM EST. The campaign has greatly surpassed its original goal of $50,000, bringing in an astounding $89,218 so far. Gamepedia has partnered with the developers, Citadel Studios, to bring you the Official Shards Online Wiki. Here, you'll find game-related resources, information, and everything you'll need to know about this indie MMO. At first glance, you may see Concrete Jungle as your typical city planning game, but it’s actually so much more. Yes, this indie game is about city planning, but it swaps micro management for deck-building and strategy. The game has already been Greenlit on Steam and has received phenomenal feedback. With less than twenty-four hours left in the game’s Kickstarter, you still have a chance to join over 1,400 other backers in helping Concrete Jungle flourish and succeed. Gamepedia has partnered with the game developer, ColePowered, to present the Official Concrete Jungle Wiki. Prismata is a hybrid strategy game that combines elements from real-time strategy games, collectible card games, and tabletop strategy games in an exciting, unique way. The game's long-awaited Kickstarter campaign just launched today, giving gamers the opportunity to help fund this creative project. We’ve partnered with the game developers, Lunarch Studios, to provide you with the Official Prismata Wiki. Epic Manager is an original Fantasy RPG Tycoon that combines roster management, character progression, and narrative choices in a humoristic fantasy setting. The game has raised over $24,000 on Kickstarter so far, and it still has over a week until the campaign officially closes. We’ve partnered with the game’s development team, ManaVoid Entertainment, to create the Official Epic Manager Wiki, where you’ll find tons of detailed, game-related information. Shards Online, a game-changing sandbox RPG from Citadel Studios, has had a phenomenal start to their Kickstarter campaign, already raising over $23,000 towards their $50,000 goal - and it's only been one day. Shards Online is an award-winning PC game that puts all the power in the hands of the players, allowing the complete customize of everything from character development to AI. 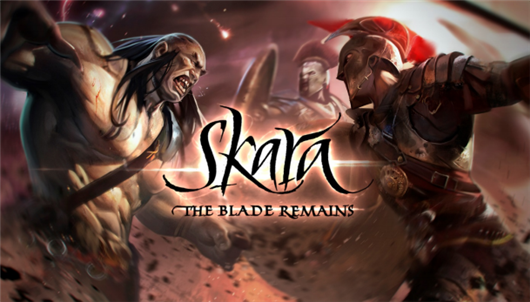 Check Out the New Skara The Blade Remains Kickstarter! A third of the way through it's relatively small goal of $35,000 on the first day of its new Kickstarter campaign, Skara the Blade Remains will release into Steam Early Access next month! This Kickstarter is for the final funding needed for the game's full release later this year. We've previously written about Skara, when we announced the Official Wiki at Gamepedia. Did you know that Skara was voted for Steam Greenlit in only eight days! The Far Reaches Official Wiki! The Far Reaches, which just began a Kickstarter campaign, has brought its official wiki to Gamepedia! A next generation sci-fi MMORPG, The Far Reaches is set at the edge of the galaxy on frontier planets and has several innovative systems. Players can engage in team based world PVP that has consequences and matters. NPCs are as interactive and part of the world as players are. Crafting is a rich, complex system where dedicated crafters can excel and create the best obtainable goods. Not only are houses highly customizable, but players can band together and create cities; the mayor can designate NPC areas, which will woo affluent NPCs to your city! The Official Popup Dungeon Wiki! Have you ever wanted to fully create a dungeon from the ground up, including designing your character, abilities, weapons and loot? Armchair developers rejoice, you can now star in your very own dungeons by backing Popup Dungeon on Kickstarter! We're super excited that we've partnered with Triple B Titles for the Official Popup Dungeon Wiki at Gamepedia, where you can learn everything this roguelike has to offer! If you prefer to play by the developer's design, do not fret, you can romp around in a fully procedurally drawn dungeon if you choose! Available for PC, Mac and Linux, Popup Dungeon was Greenlit on Steam in just eleven days! Creation in Popup Dungeon is one of the key factors and if they meet their stretch goals on Kickstarter, this will also include a Dungeon Master mode, where you can create your own campaigns for others to go through! Through Steam Workshop, your creations will be available for others to enjoy. User generated content means that your resources are limitless. You can even download user generated bosses, making each dungeon run completely different from the last. Popup Dungeon also offers single player where you can go in alone or control a group, with the dungeon expanding on how many you bring on your team, or with multiplayer. Head on over to the Popup Dungeon's Kickstarter and grab that sweet reward tier that speaks to you, so you can become a backer, help Popup Dungeon become funded and even reach some stretch goals. Did you know that for $28 you can also get a Steam key to give to a friend? Why dungeon alone when you can always have a friend with you! After you've become a part of Popup Dungeon's success, be sure to see what you can do on the Official Popup Dungeon Wiki. Helping out is easy! Take a look at the Help Wiki or our latest Help Wiki Highlights article for ideas on how you can get started! We're happy to announce that the Official The Universim Wiki has come to Gamepedia! The Universim is a god-sim game where you grow a universe from the ground up. Recently Greenlit on Steam, The Universim is halfway through a Kickstarter campaign, where they have met almost half of their funding goal! Developer Crytivo Games aims to create an enjoyable gameplay experience through The Universim, no matter what kind of gamer you are. Even though The Universim is currently in early stages of development, it is gaining positive traction through gaming press! Your planets start with civilizations in the stone age and must start at the beginning, working their way towards modern times and into the future. Through research, you can watch your planets' inhabitants learn fire, build weapons and start wars. Will you intervene and keep two cities from solving their issues through violence, or will you watch from afar to see what becomes of the conflict? In The Universim, you do not directly interact with your citizens. However, you influence them to guide them along their paths. You set them towards learning certain technologies and decide what they research, and then they continue to walk the path you have set out for them even when you're not playing! When you're ready for an adventure in what is one of the most anticipated god-sims, head over to Kickstarter and find the perfect reward tier just for you! If you act fast, you can get your hands on a DRM-free copy of the game for Windows, Mac OSX and Linux for the Kickstarter early adopter price of only fifteen bucks! Another way you can help out is by becoming an editor and contributor for the official wiki. Lending a hand is easy. Have a look at the Help Wiki to see how you can get started!